I don’t know about you but I find using many Apps on a phone a royal pain. I was brought up on desktop computers before iPhones and Androids were around and up to now I’ve paid little attention to Instagram but that’s all about to change as I now plan to be using the platform far more frequently. So what is the best way to use Instagram on Windows? I think it was a couple of years ago I tried out the Instagram app from the Windows Store and it wasn’t too bad until the upload feature was disabled and then my interest kind of died. About another year on from that and I had reason to try an Android Emulator on my Windows PC and perhaps could use Instagram from there? I tried a couple and it was altogether a rather painful experience, so I gave up and forgot about it. For reasons I can’t remember I didn’t try the BlueStacks Android emulator, more on that later. What’s available in October 2018? Zoom forward to today and I really need to start using Instagram properly so I repeated my search in the Windows Store. The original one is still there but there is also “Upload for Instagram”. That should help, right? Well yes and no. Sure it will work but after 10 minutes of playing around I didn’t like the workflow of using two Apps and it all felt a bit alien. I stopped there because I suddenly remembered a work colleague mentioning that BlueStacks has recently been updated to version 4 and that it gets some good reviews. And why double the learning curve of learning Instagram on a phone and the Windows Apps? So I went ahead and had a search online and found a couple of YouTube videos that show it’s quite simple. 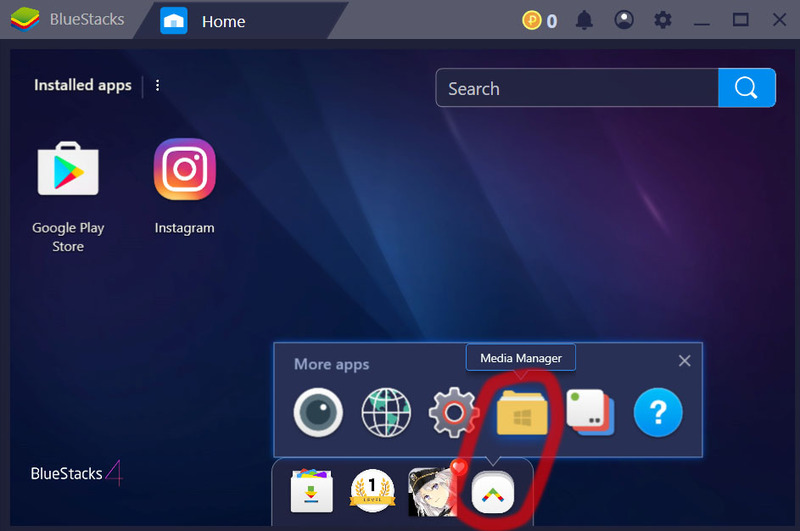 These videos show how to install BlueStacks version 4, and how to upload images from Windows in BlueStacks although it’s for version 3. The only difference is the location of the “Media Manager” and I show this in the following screen shot. If you are a Mac user, I’m sorry, all I could find at the time was a link to an App Player for BlueStacks 3 and I don’t know if it will works there, you may wish to give it a spin. So, why is this the best way to use Instagram from Windows? Upload images directly from your PC with little fuss. No need to learn another workflow if you are already familiar with Instagram. Relatively simple solution that works better than the current Windows Apps. As you may gather, this website and blog is a new project for me and now I’ve got it up and running it’s time to sort out my social media. So starting with Instagram I decided to remove all the current images (not many) and It took me about an hour or so to do that and upload a fresh set, all from within my Windows Desktop PC. For me that’s a much better workflow and it enables me to easily upload any images form any camera that I have saved to my PC’s hard disk. 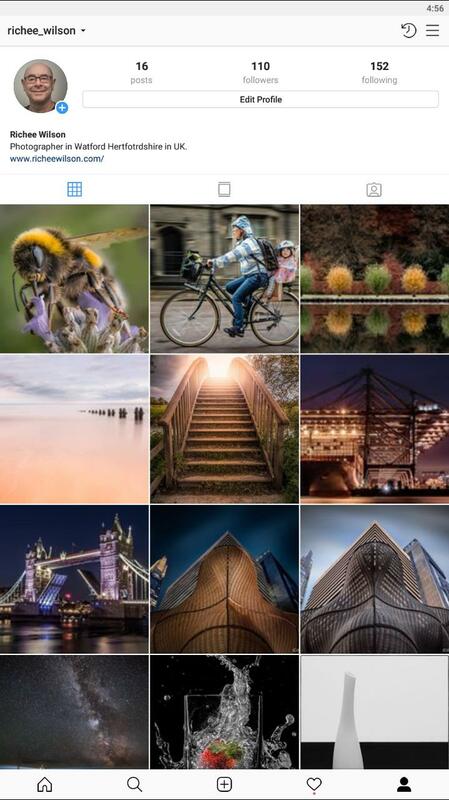 I hope this is of help to folk who would like to be able to use Instagram in Windows, any questions please ask in the comments, I’ll be delighted to hear from you, thanks for reading.